municipal, or other properties in or next to Connecticut waters. (New London) – Governor Dannel Malloy has announced the State Bond Commission is expected to approve $15 million for an infrastructure improvement project that will revitalize State Pier in New London to maximize the port’s potential as a regional economic engine. The commission is scheduled to meet Friday. The Connecticut Port Authority (CPA) will oversee the project, and work has already begun on preliminary planning. State Pier in New London is the only major port, from the mid-Atlantic to Maine, without the bridge obstructions or hurricane barriers that can restrict ships from entering other harbors. This is a major advantage when it comes to using State Pier to support development initiatives along the east coast of the United States. The same natural assets that made New London the Whaling City, and a major area of regional commerce in the early days of the United States, are still assets today. 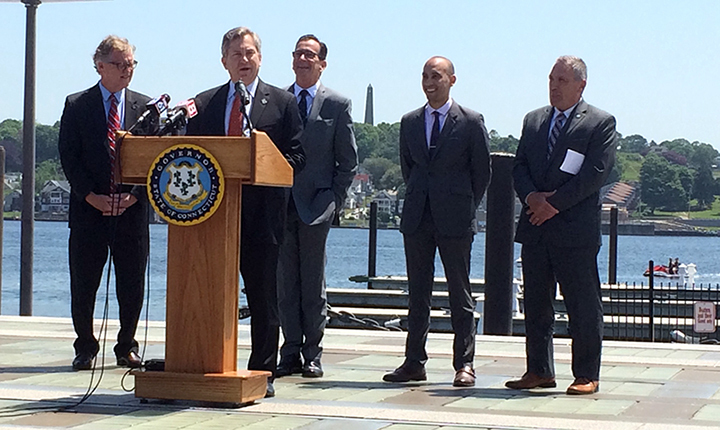 The governor’s announcement of further investment in State Pier follows an announcement earlier this month of a new partnership with Electric Boat that is expected to help create nearly 2,000 jobs in the region. Connecticut is home to three deepwater ports (Bridgeport, New Haven, and New London) and a multitude of small harbors, rail lines, and interstate highways crisscrossing the state. Connecticut is uniquely located at the intersection of maritime access and distribution networks, and a thriving maritime industry in Connecticut means stronger economic growth across each of these assets. 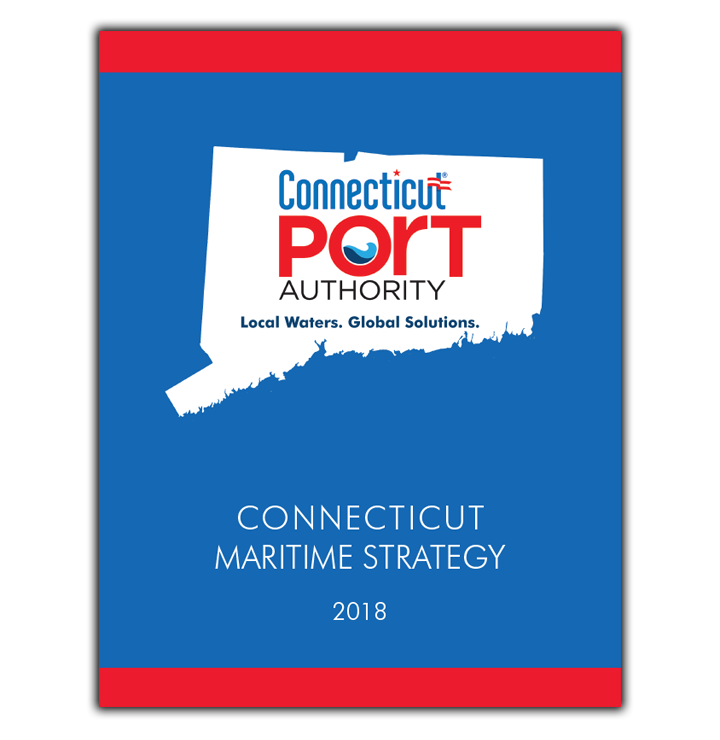 The Connecticut Port Authority is overseeing new investments in infrastructure, dredging and intermodal terminal capabilities that are expanding the foundation of Connecticut’s maritime industry and building a thriving network of efficient, customizable transportation solutions. Local municipalities can apply for funds through June 12, 2019. 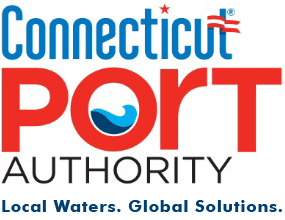 Today the Connecticut Port Authority (CPA) issued a Request for Applications (RFA) for project funding under the Small Harbor Improvement Projects Program (SHIPP), a competitive grant program managed by the CPA. Under SHIPP, Connecticut municipalities and other properties, in or adjacent to waters of the state, may apply for matching funds to conduct a project that improves the infrastructure or management of their local waterway. Please like us to stay up-to-date with what's happening at MARAD! One way you can support our waters is by helping shape the future of Long Island Sound’s maritime economy. The draft Long Island Sound Blue Plan is a new paradigm in Connecticut’s management of Long Island Sound that seeks to identify and protect Significant Human Use Areas and Ecologically Significant Areas, as well as reduce conflict with future activities. Pecks Ledge Lighthouse off the coast of Norwalk.